Hobbies: Running, Cycling, Mountain Biking, Water-skiing, Tennis. National Capital Rally because it’s my home rally and it has very challenging roads. WRC Rally Australia in Coffs Harbour because it’s a huge event with a great atmosphere and I love the roads up there. Nambucca at Rally Australia in Coffs Harbour. It’s the longest stage in the ARC and has so many challenges. Very rewarding when you get to the end and have set a competitive time. Going out in to the forests around Canberra watching dad test his Corolla WRC car. I would have been four years old. After finishing the Narooma Forest Rally in 2014. We managed to win a couple of stages at that event and found a really good rhythm, and I had Coral Taylor co-driving which really helped everything click. It’s back when I thought ‘this sport is all just fun and easy.’ – I’ve since learnt that it isn’t easy at all. I have a few memories. 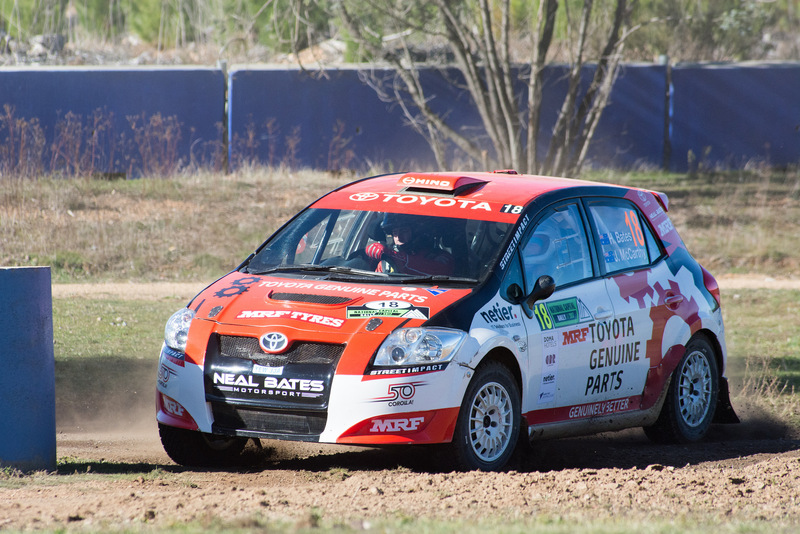 2015 National Capital Rally – ARC Podium on debut. It was also my first of many rallies with John McCarthy co-driving. 2016 Quit Forest Rally, where we managed to win Heat One. It felt really nice at the time. 2017 Eureka Rally – First ARC event win and became the youngest ever ARC winner, after a massive battle that went from the first stage right to the last stage of the rally. Spectating at 2011 Rally Finland, before I started rallying myself. Since starting to compete in rallying, I’ve become a terrible spectator. Toyota Land Cruiser or Lexus LFA. 2017 Toyota Yaris (standard version of my rally car). My parents. They’re just good people. If they were available, then it would be Mark Webber, Roger Federer and Margot Robbie. I am obsessed with houses and spend more time than I should on realestate.com.au. 2014 Rally of the Bay. Molly Taylor was my co-driver.